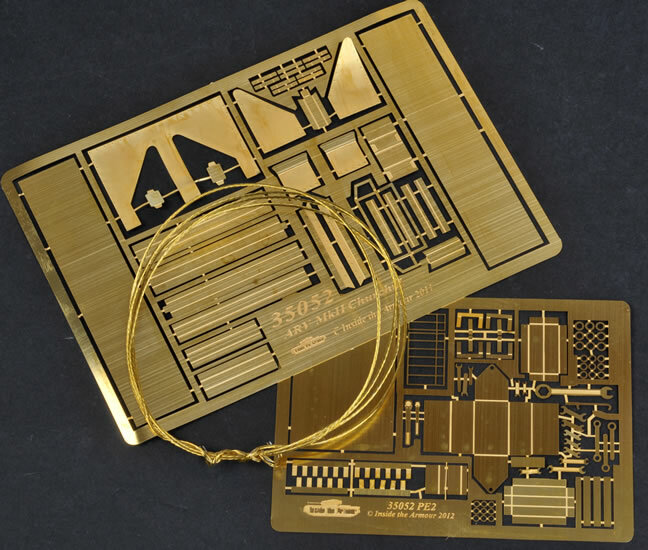 Media and Contents: More than 200 parts in grey resin; two photo-etched frets; brass wire; turned metal Besa machine gun; instructions on disk. Price: £90 from Inside the Armour and selected stockists. Disadvantages: No decals or painting guide. 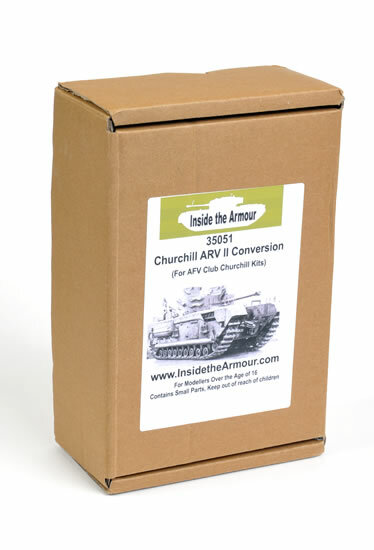 It is always a treat to see Inside the Armour’s latest releases cross the desk, so I was pleased to see their 1/35 scale Churchill ARV II arrive this week. Pleasure turned to amazement, however, when I opened the fairly innocuous brown cardboard box. Chris at ITA has managed a Tardis-like packing job to fit a huge number of resin parts inside this compact container. This is a remarkably comprehensive conversion. 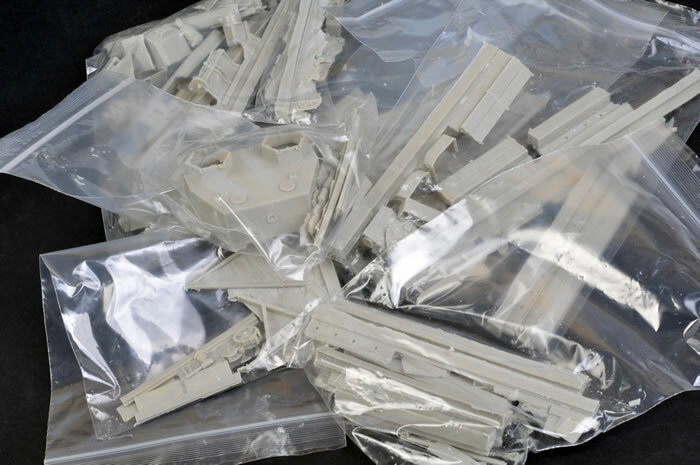 I confess that I was a little too intimidated to actually count all the greenish grey resin parts, but I can confidently estimate that it is more than several hundred. The main conversion elements include the new superstructure with its dummy gun, winches, the main jib and a host of other details including a detailed driver’s compartment interior and internal winch gear. The conversion also supplies brass cable, a brass Besa gun and bonus photo-etched tools and toolbox. Options abound. On vehicle tool stowage may be depicted open or closed. The spade can be depicted stowed or deployed. The jibs may be depicted stowed or deployed – and much more. Instructions are supplied as a PDF on disk. Chris has also included two additional folders on the disk with walk around reference photos of surviving vehicles – very handy considering the complexity and detail of this conversion. 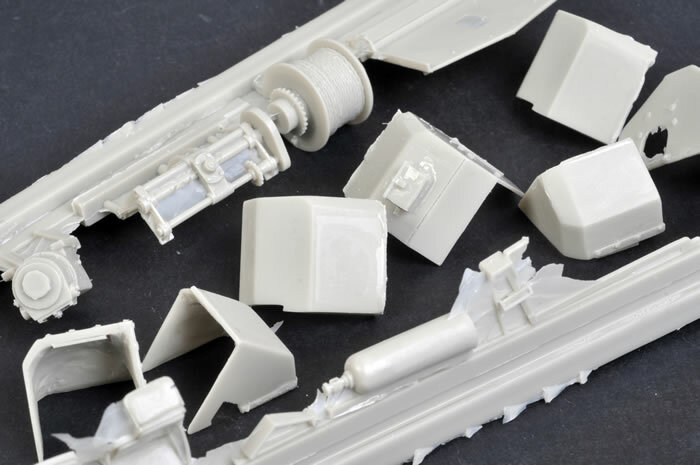 Casting quality is very high, but a reasonable amount of time should be allocated for removal and cleanup of the parts. Indeed, cleanup and familiarisation with the parts and the construction sequence might be the most time consuming aspects of this build. I could not find any casting imperfections on my sample. The resin parts are supplemented by two generous photo-etched frets. 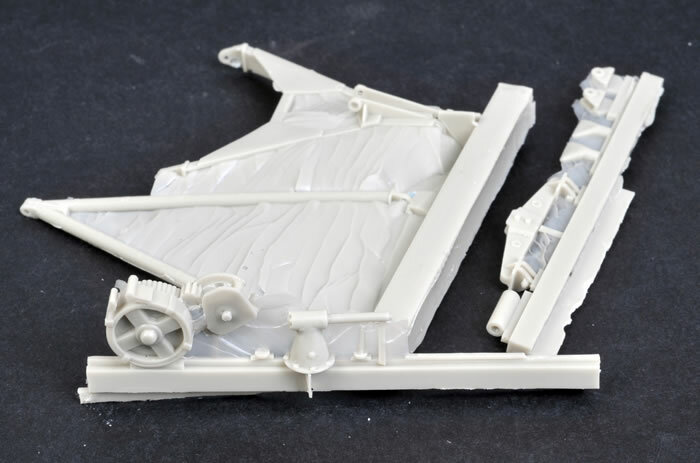 This conversion started life as Cromwell Models’ full 1/35 scale Churchill ARV II kit , but Inside the Armour has obtained the masters and adapted the parts to fit the excellent AFV Club Churchill. 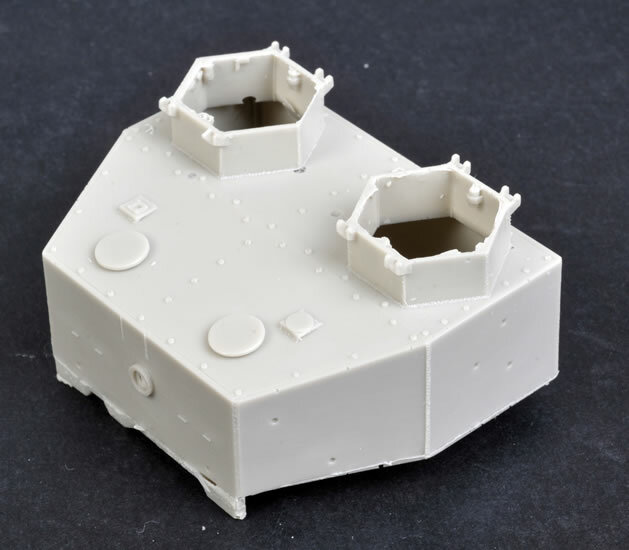 The complexity, number of options and sheer parts count means that Inside the Armour’s 1:35 scale Churchill ARV II conversion will be best suited for experienced modellers, but time and patience will result in a truly remarkable model.